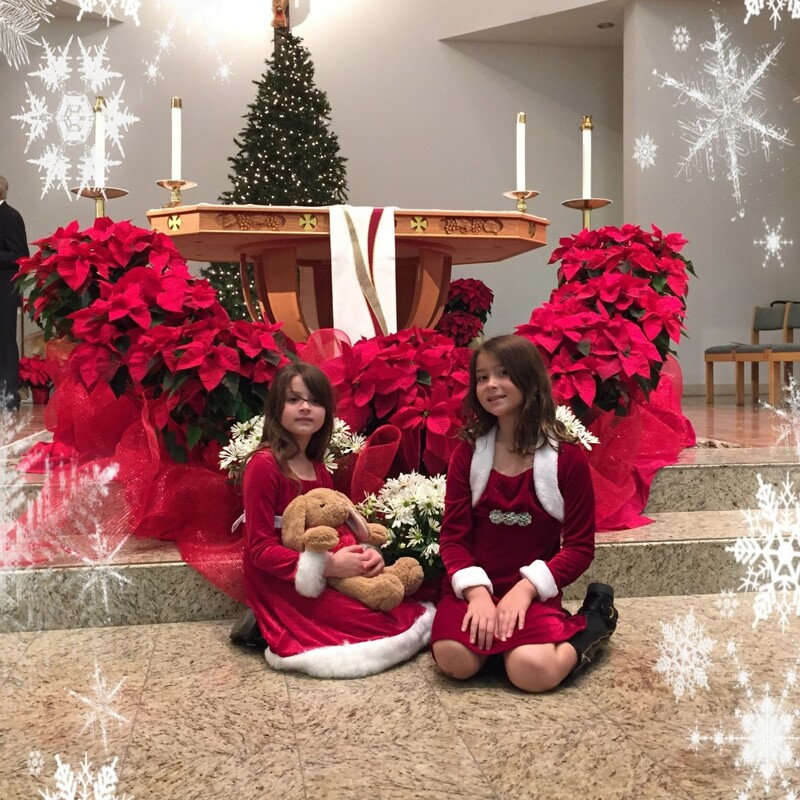 2014 Recap – it was a fun year! A lot happened in 2014. We worked hard, and played hard. Had a lot of fun with the girls and accomplished some personal goals. I was chosen as a Busch Gardens blogger ambassador. 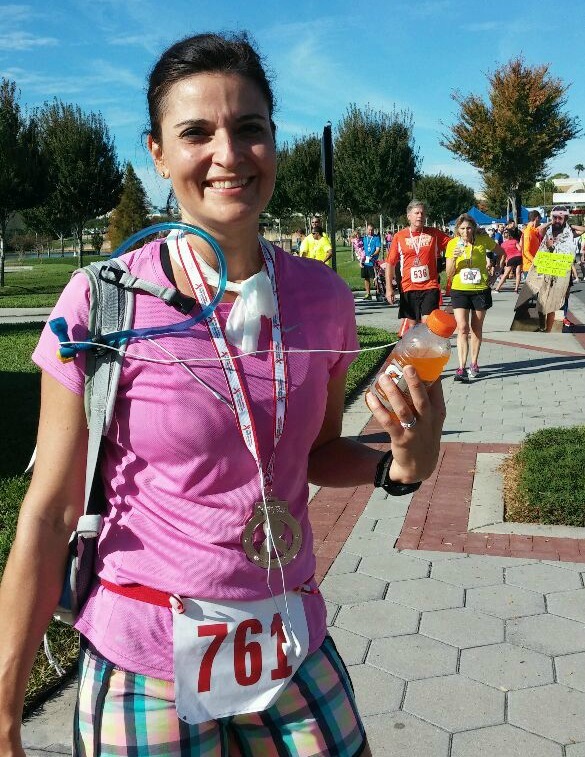 I ran my 4th Half Marathon. 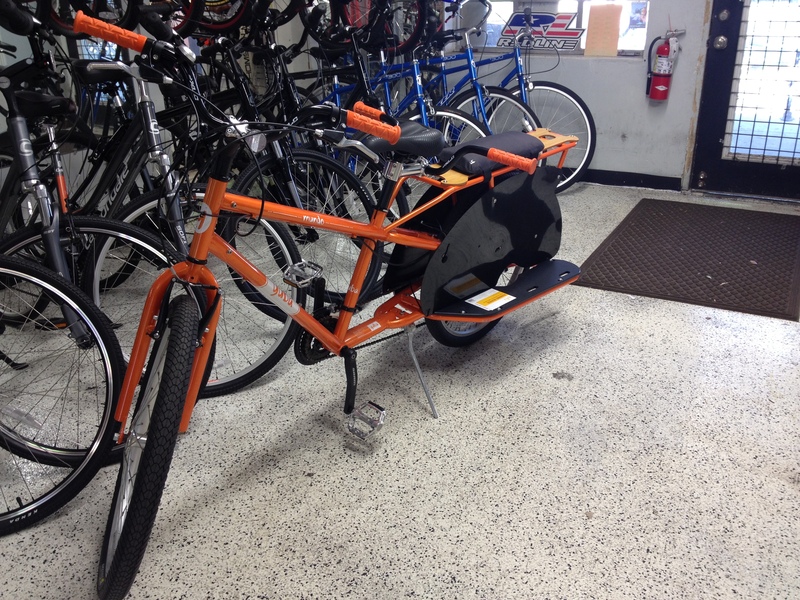 We enjoyed summer to the fullest with vacation, theme parks and a cargo bike! Here’s a little recap of what we’ve been up to. This was by far, the best baby shower I’ve ever attended. So much fun. Only Cynthia would have come up with such a great idea. 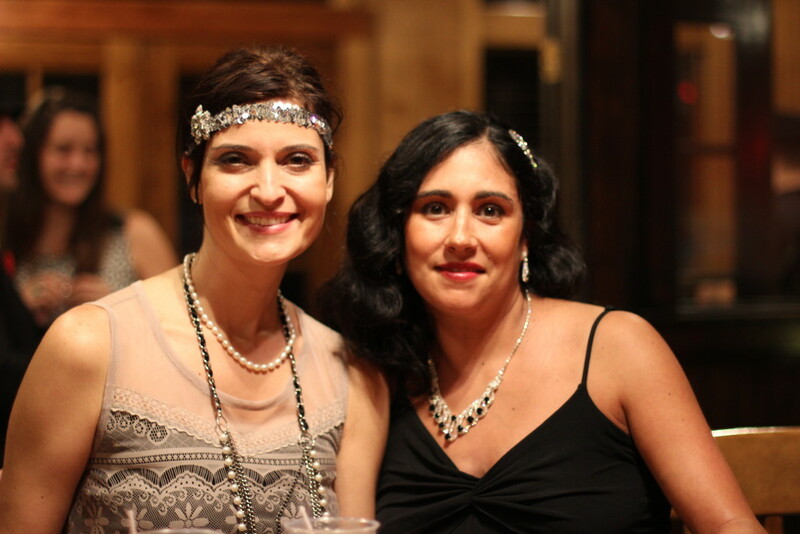 Get a bunch of your friends and spouses dressed up for a 40’s themed baby shower. By the way, if you are ever near downtown Plant City and looking for a tasty lunch, check out her restaurant: the corner store. You won’t be disappointed. Fresh salads, home made soups and tasty sandwiches. So much fun to meet Whitney! One lucky afternoon, I received a phone call request to bring some strawberry cookies and strawberry milkshakes to the GFS facility in Plant City. Ms. Whitney Miller, Season 1 winner of Fox’s “Masterchef”, was in town preparing the annual dinner benefiting the United Food Bank. You should check out her cookbook here for great, home cooking recipes. First strawberry lemonade at Parkesdale. Teaching them young. This was a great day. With a little help from mom and dad, these two had a great time greeting thirsty customers on the shortcake line. 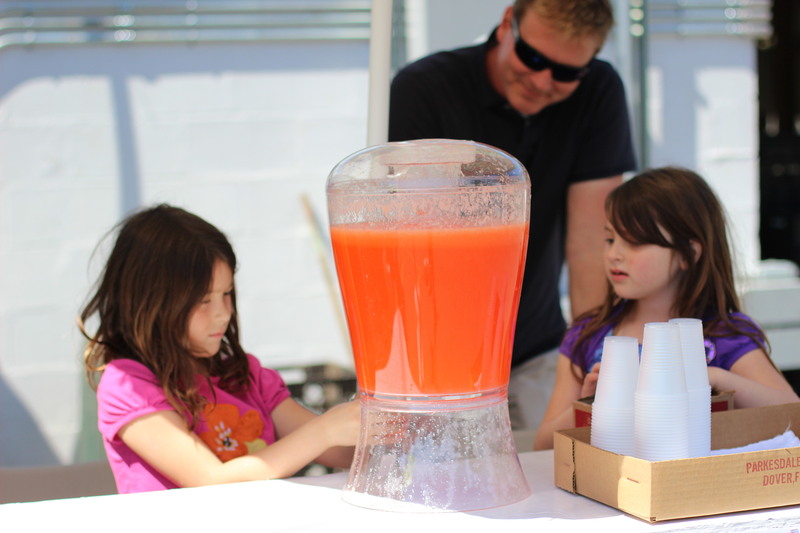 They are already coming up with new flavors for this year’s lemonade stand. 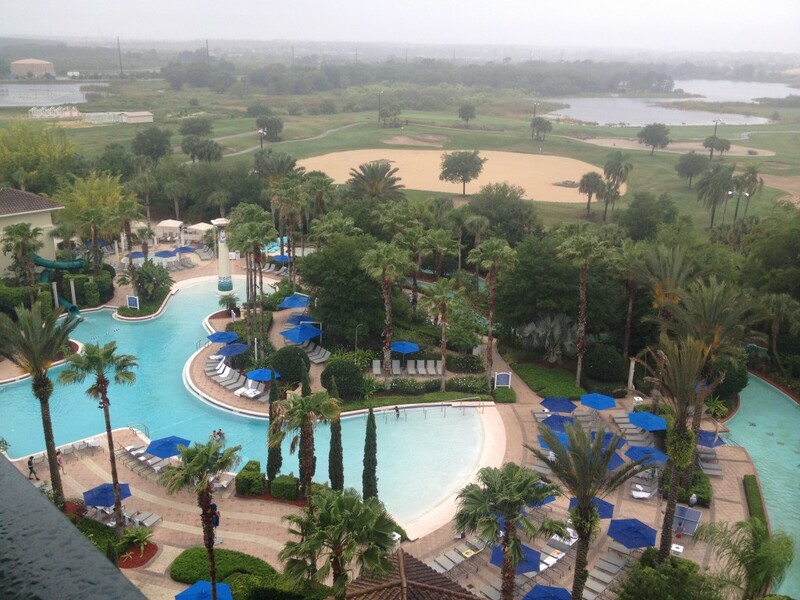 The Omni hotel is less than 45 minutes away just off I-4 before you get to Orlando. With a zero entry pool family pool, a “quiet” pool and a lazy river to boot, this is just a great place for families. Another plus, is the activities they host at Camp Omni. From movies in the pool, to arts and crafts, your kids will not want to leave. We’ve visited the Omni during Easter and they host an easter egg hunt for all the kids on the golf course. Great times. Also, their Pan Asian restaurant is awesome. Last time we were there, we tried the tasting menu and it was amazing. Lots of great tasty food in a beautiful setting. Entry way to the Loews Royal Pacific Universal Orlando. This year was our 10th year wedding anniversary, so we celebrated by taking a trip to Universal in Orlando. 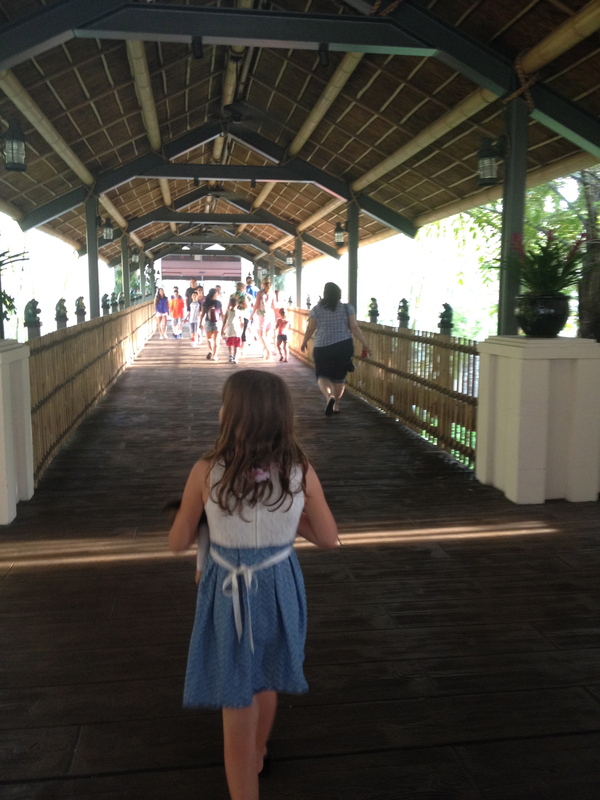 We chose to stay at the Loews Royal Pacific to save on time driving to and from the parks. Another perk of staying at the park, is the extra morning hours and the fast pass. This hotel also has a wonderful pool area, movies at the pool and a kid camp. You can read more about our stay here. Cargo Bike for the win! This little baby joined our family this summer. I had read about them online and just knew that it would be such a fun addition to our family. We’ve gotten a lot of use out of it. I’ve taken the kids to school, I’ve picked the kids from school, gone shopping and I’ve even rode it to the market. I’d like to think that it helped me train for the Red Ribbon Half Marathon. 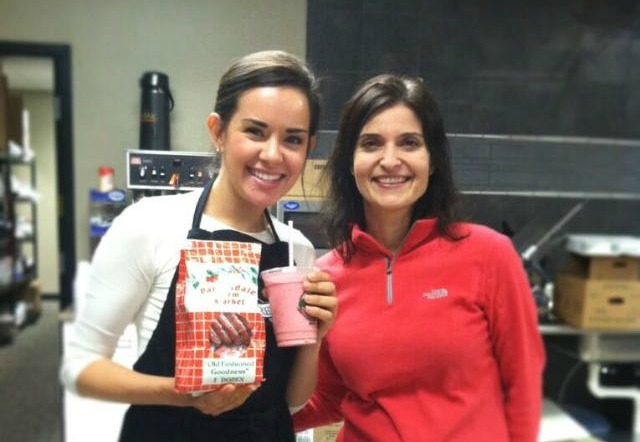 Having fun with Parkesdale Strawberry Cookies! The Food and Wine Conference is a fun conference to attend if you are a food blogger or are thinking of beginning a food blog. This is Family Foodie’s baby. She is the founder of the Sunday Supper movement. Great and amazing lady. If you want to read more about the conference, check my blog post here. Our view at the Hawk Key Resort. Growing up in Puerto Rico, I spent many weekends at the beaches in the southeastern region of the Island. Blue, crystal clear, calm waters is what I remember most. 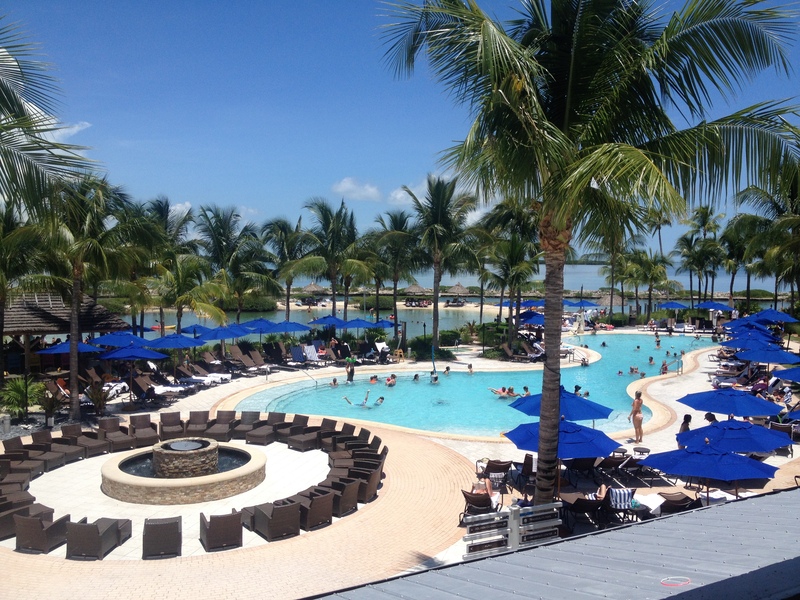 This year’s summer vacation took us to the Hawks Key Resort in Duck Key, just before Marathon Key. If I could go back tomorrow, I’d ask you why wait. Let’s go back now! You can read more about our stay here. In 2014, I was selected as Busch Gardens blog ambassador. 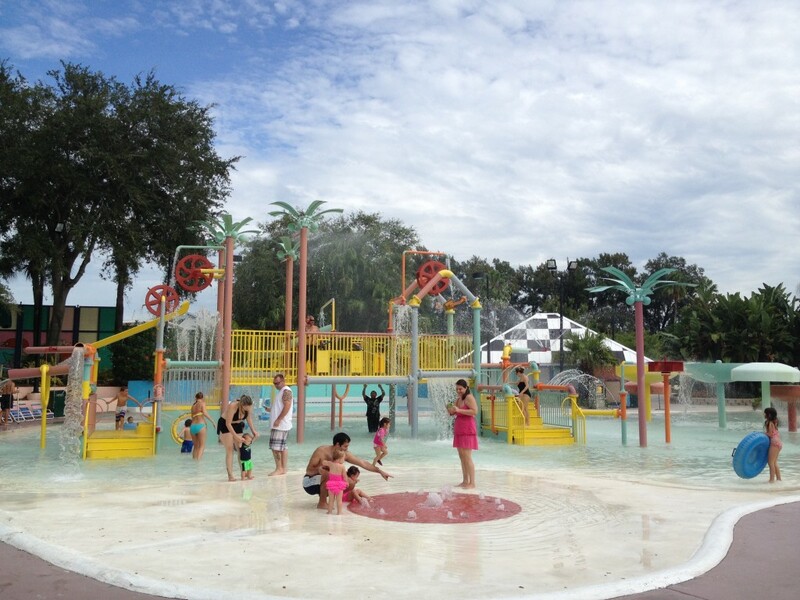 I was invited to their water park in Tampa, Adventure Island. We’d never been there, so I wasn’t sure what to expect. All in all, we had a great time. The weather was great, so we were able to enjoy the park without any of the so common to Florida afternoon showers in the summer. You can read more about our visit here. 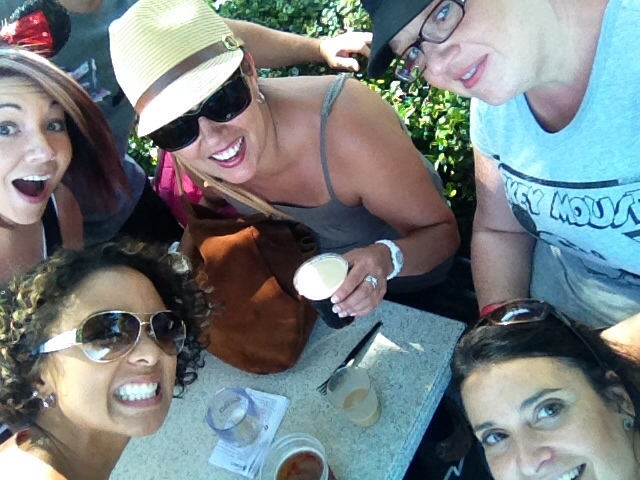 Fun with friends at Epcot’s Food and Wine Festival. This was for sure one of those items on my checklist. I’ve been wanting to go to Epcot’s Food and Wine Festival for a while, so to be able to meet up with friends for a day of fun and good food. Not to mention, great wine too! You might recognize Kat (on the bottom left) from KatrinaElle.com. Another amazing lady I’m lucky enough to call a friend. If you are looking for a fitness coach, go check her out. Just finished my 4th half marathon! Training for the Red Ribbon Half Marathon was interesting. I usually have had a running buddy, but this time around I was on my own. A lot of things went well for this race. I incorporated bike riding as part of my cross training. It worked. The temperature was great, not too cold, not to hot. I wore my cep compression socks for an entire race for the first time and it paid off. For more reasons why you should run this race in 2015, read this. Thankful for all the blessings in 2014. One thing I love about December is the fact that is almost impossible not to take time to think about what was accomplished and what are some things to plan ahead for 2015. I don’t necessarily call them resolutions. I prefer to call them goals or accomplishments that way they have a more positive light. We had a great year in 2014. And can’t wait to see what comes up in 2015. You had a great year. I love looking back on all the gorgeous pictures. Happy New Year !! So many exciting things happened this year for you! can’t wait to see what 2015 hold for you and the family! Loved your recap! Looks like a joyous and eventful year. Your photos are beautiful. Cheers! Fantastic year! Here’s to an even better 2015! Steph recently posted…Happy New Year! It was SUCH A FABULOUS year and I’m so happy you had a fantastic time! Let’s do DISNEY AGAIN SOON!